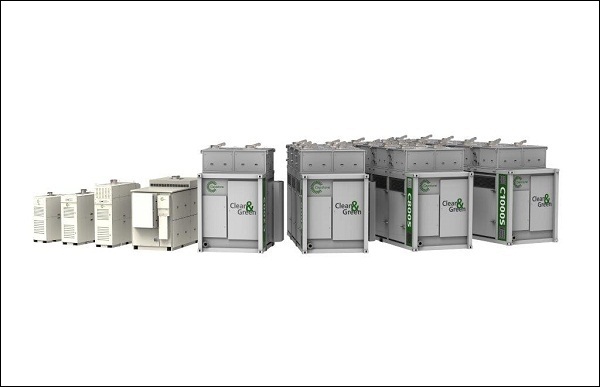 Combined Cooling, Heat and Power (CCHP), or trigeneration as it is also known, is the most economical and environmentally sound way to generate electricity, heat and cooling, making it the ideal solution. The turbine produces electricity and heat. This exhaust heat is transported to the absorption chiller that uses it to produce cooling energy. The results are chilled water and/or hot water for air conditioning. The ratio of the electricity produced to the exhaust heat for the absorption chiller can be varied to meet specific requirements. 4) Lower CO2 production compared to electricity produced from coal, whilst delivering the same amount of energy.